The Portreeve's Almshouse, on the corner of Union Street and South Street, was originally founded by the rector of Tintinhull, John Stone in 1416. The Portreeve's Almshouse, later known as the Corporation Almshouse, burnt down in 1910 and a new site was chosen in Preston Grove where Dorcas House was built. 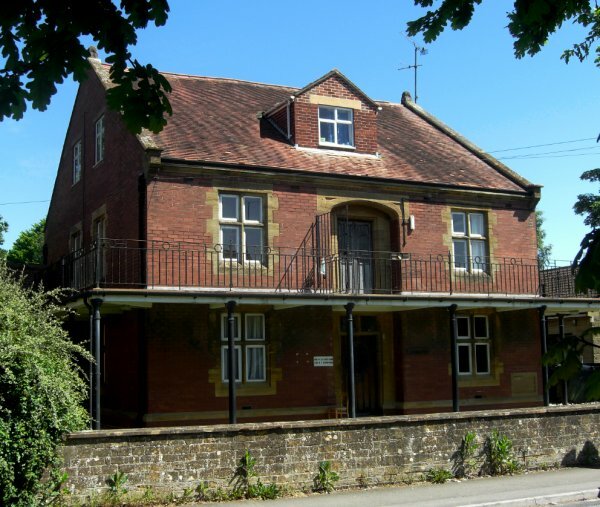 Up to the time of his death in 1934 John Vincent was a member of the Almshouse Committee, and in 1899 he made a gift of £100 towards the Almshouse Trust Fund, this sum being used towards the cost of erection of Dorcas House. 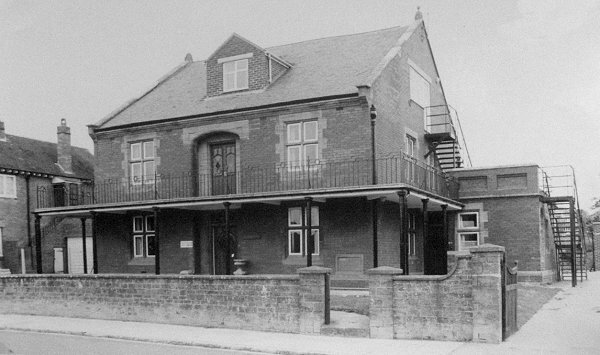 The foundation stone was laid by Henry Stiby on 27 July 1910 and the new building was to contain six self-contained flats. 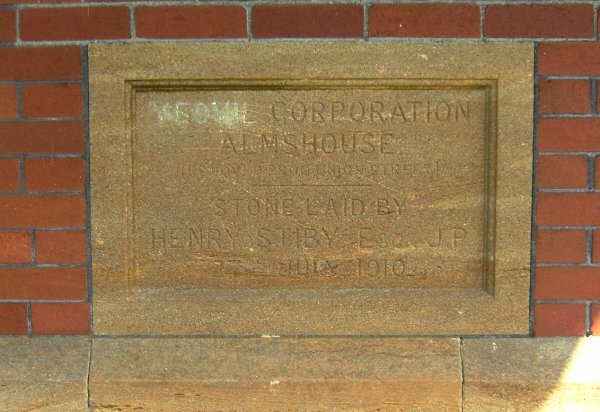 It was still known as the Yeovil Corporation Almshouse as testified by the report below and the foundation stone, pictured below. In July 1910 the Western Gazette reported "The foundation stone of the new Corporation Almshouse which is being built on a site adjoining St Andrew's Church in Preston Grove was laid on Wednesday afternoon by Mr H Stiby, who has been a generous subscriber, with others, to the building fund.... The new almshouse, the plans of which have been prepared by the Borough Surveyor, Mr Arthur Oddy, will have accommodation for six inmates. On the ground floor will be the Matron's quarters, bathroom and offices, and the bedrooms and sitting rooms for two inmates. Upstairs are separate bedrooms and sitting rooms for four inmates. Each of the inmates' quarters will be complete in itself, with water, sink, and cooking range. Provision is made for further extension if necessary, to accommodate two additional inmates. The materials used are Pinhoe brick, with Ham stone facings and a balcony from the first floor will form a verandah for the ground floor. The Mayor, Mr E Damon, said.... They were aware that the building in South Street was out of date and no longer suitable to be occupied. The matter of the new building had been under consideration for some time, and now the ground had been given by Mr Paynter of their own town, and Mr Vincent of Bideford, and in addition they had a most generous donor in the person of their old friend Mr Stiby.... The Town Clerk made a present of a silver trowel to Mr Stiby as a slight memento of the interest he had taken in that building." The following Saturday the old almshouse was destroyed by fire. Dorcas House was modernised in the 1980’s and converted into seven self-contained flats specifically for women, especially young mothers and mothers-to-be. It also occasionally provides temporary accommodation for homeless women - all in accordance with the original intentions of the foundation some six centuries ago. 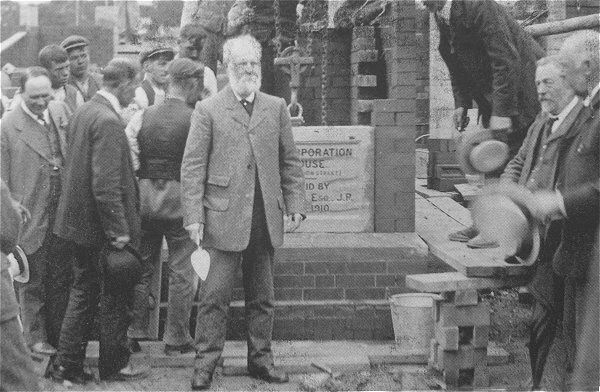 Henry Stiby, at centre holding trowel, having just laid the foundation stone of Dorcas House on 27 July 1910. Dorcas House, probably photographed shortly after being built. Dorcas House, successor to the Portreeve's Almshouse, photographed in 2013. The Dorcas House foundation stone. Photographed in 2013.